Bespoke Website Design, Re-Design & Maintenance, E-commerce, Forum Design & Company Logo Design. We manage all your website requirements from your domain selection to your web hosting and web management. Check out our portfolio section for previous sites developed. Webs Elite is a web design company based in Carlow. We offer a cost effective web solution package for small and medium size business's. Whether you are a new or an existing company or just looking for a website solution for your own personnel use, you have come to the right place. We here at Webs Elite strive to meet the requirements of a wide range of clients. We work with businesses that needs maximum advertisement at a reasonable price and so no better to have your website designed by us. We can sit down and have a chat with you about your business and get a feel for your design wishes. All our designs are custom designed so you will not be using a template used by anyone else. We will put together a sample desing to approve before we progress any further on design. 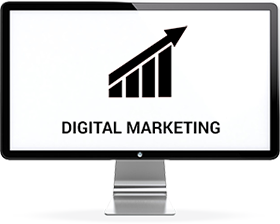 We will create engaging content that Google will love and help your website to rank highly. We will then complete the design of your website based on the agreed theme. Once you are happy with the complete design we will make your new website live. Get in touch now and we will be happy to help out!
" We were very pleased with the website and optimisation work carried out by Patrick at Webs Elite.He took on board our design requirements and delivered the project in a cost effective, friendly and efficient manner. I would recommend Patrick and webselite for any web design and optimisation projects that your company may require." " Webs Elite did a fantastic job in creating and designing our new school website. We found Patrick of Webs Elite to be highly professional throughout the process. Our website has been a great success, with the children, parents and wider school community logging on regularly. We look forward to working with Patrick again in the future. " " For hassle free, well priced Web Design we highly recommend Patrick & Webs Elite He worked on our website and consulted us through text, phone and email at all stages of development. We would highly recommend Patrick and Webselite. We are delighted with our site and Patrick made the experience hassle free for us, he is a pleasure to do business with." We offer services such as Web Design, Website Maintenance, Search Engine Optimisation, Ecommerce design & much more. Our after sales service is second to where we are only a phone call away for any query or technical help that you may require. We have an honest work ethic and will always communicate clearly with you on every aspect of the job, including, the very first conversation, meetings and costs. So if you have a web design idea in mind or you need your existing website revamped then give us a call on (059) 91 66754 and talk to us to see how we can bring your business then professionalism it deserves. Responsive web design in a nutshell is a website that works on all devices and is therefore compatible with PCs, laptops, smartphones, tablets & ipads. The benefit of this design is that it creates an optimum user experience for those visiting the website from any device. Webs Elite now create all websites with a responsive design architecture. We are well aware that the browsing habits of visitors to websites is shifting from the sole use of PCs to using their smartphones or tablet devices. 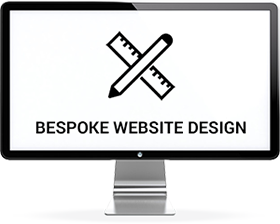 Pixel perfect website design with our extensive attention to detail. Growing and developing your business potential online. 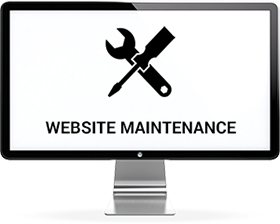 No time to manage/update your website? We'll take care of it. Custom designed websites that look good, function great and makes your business stand out in a crowd. Search Engine Friendly designed to maximise potential traffic by following Google's key requirements. Responsive design which means your website is accessable on laptop, pc and also user friendly for mobile devices. Delivering you websites on time and on budget. Helping you grow your business with the necessary tools for online success. Designing beautiful and functional pixel perfect websites.